Wisconsin is considering legislation that would initiate two pilot programs within FoodShare, the state’s version of the federal Supplemental Nutrition Assistance Program (SNAP). Recently introduced, AB 501/SB416 would create a pilot program offering FoodShare recipients discounts on “healthy foods.” The 10-month pilot would include 2000 households, 1000 from Milwaukee County and 500 from Dane County. The estimated cost of the pilot and evaluation is $600,000. Another legislative proposal for Foodshare, AB 530 calls for a federal government waiver allowing Wisconsin to restrict the use of public benefits on “foods, food products and beverages that do not have sufficient nutritional value.” The estimated cost for this 5-year pilot is $12,006,400. What are “healthy foods” and what foods have “sufficient nutritional value”? Understandings of “healthy food” vary by age, culture, availability, portion size, individual health history and numerous other variables. Determining “sufficient nutritional value” poses similar challenges and at the very least, an individual food should be considered relative to the rest of what a person consumes. Why does the Wisconsin legislature think people utilizing FoodShare need help choosing healthy groceries? The USDA has determined that the buying habits of people utilizing SNAP programs mirror the buying habits of the rest of the country. If the eating habits of all Wisconsin residents need improvement, then a different approach is needed. Targeting FoodShare users implies that this group has worse eating habits than other Americans. If it is important to legislate what goes into the grocery bags of users of the FoodShare program, then it isn’t because of the food choices and subsequent health outcomes that the bills suggest. If there was consensus on the definitions of healthy food and if the buying habits of FoodShare recipients were unhealthy, then how might families using FoodShare experience these policies? Hopefully this is a question that would be addressed in the pilots’ evaluations. But, AB 530 does not include an evaluation component and AB501/SB416 requires an evaluation that only considers what families purchase and users’ health data. The study does not require an exploration of users’ experiences related to the requirements. Many families in urban and rural areas of Wisconsin that utilize FoodShare live in food deserts, areas with little or no access to grocery stores that offer fresh, healthy, and affordable foods. Requiring stores to offer a certain number of healthy food options in order to be able to accept payment through FoodShare may create additional obstacles for store owners in rural and urban areas. For example, sometimes suppliers require that orders include a minimum number of an item. Stores in rural areas may not be able to sell the minimum number and would have to absorb the cost as the food goes bad and urban stores may not have the space to display the minimum number and then face similar challenges. If those stores choose not to participate or can’t afford to remain open, then by imposing healthy food requirements on FoodShare users, those families may be required to travel further to purchase healthy foods which may not be reasonable. Effective policy should consider not only the economic implications for the state, but also the experiences that users have. Wisconsin’s ongoing legislative emphasis on the eating habits and lives of users of the FoodShare program is noteworthy and troubling. Seeking legislation to restrict people from using public benefits to buy “junk food” is not a new idea for Wisconsin. In addition to stopping FoodShare recipients from buying “too much junk food,” the Wisconsin legislature has also pursued legislation to stop people from using FoodShare funds on “crab, lobster or other shellfish.” Wisconsin has already outlawed the use of FoodShare dollars on the convenient foods that are cooked and prepared at the store. The state of Wisconsin seems committed to controlling the lives and eating habits of it poorest residents at any cost to taxpayers. In addition to the current proposals discussed above, Governor Walker is pursuing additional changes to FoodShare eligibility through his budget proposal by adding requirements related to child support payments and by requiring cooperation with the child support enforcement agency. Stay tuned for another blog about this topic. When Scott Walker ran for Governor of Wisconsin, one of his favorite slogans was “Wisconsin is open for business.” To access Workforce Innovation and Opportunity Act (WIOA) funding, Wisconsin developed a state plan detailing it’s needs, challenges and prospects around employment. The plan highlights an aging workforce, historically low unemployment and a skills gap as key issues for Wisconsin. Recently, the Wisconsin State Journal (WSJ), the state capital’s local newspaper, reported that Wisconsin is on the brink of crisis as it grapples with a growing worker shortage. The article explains that because of low unemployment, an aging workforce and a skills gap, “There just aren’t enough people in Wisconsin” to fill the jobs in the state. The complexities of employment and workforce development require critical analysis and creative problem solving; both the state plan and the reporting on these issues would benefit from looking more deeply at some additional employment challenges in the state. Just like the state plan, the WSJ article omits any racial analysis. Although, Wisconsin touts an overall unemployment rate of 4.1% which is lower than the national average, the unemployment rate for African American or Black residents of Wisconsin is 10.6% which is higher than the national average and nearly three times the unemployment rate for Whites in the state which is 3.8%. Looking at data for Milwaukee County alone, the most populated county in the state and home to the largest number of residents who are African American or Black, highlights more issues related to unemployment in Wisconsin. Milwaukee County’s unemployment rate for residents who are African American or Black is 12.6%, more than three times the rate of unemployment among Whites which is 3.8%. Unemployment among Latinos in Milwaukee County is 6.8%, nearly double the rate for Whites. (Unemployment data was retrieved from the Bureau of Labor Statistics and the US Census Bureau.) Discussions of unemployment and plans to fill vacancies in the state must incorporate some racial analyses that include not only numbers, but also a discussion of the realities of discrimination in hiring practices and discrimination in the workplace if they are to have any tangible effect on all Wisconsinites. People that are seeking work are well-positioned to contribute to those discussions. In the WSJ article, perspectives about job vacancies and prospective workers are offered from “dozens of employers, economists, advocacy group experts and state political and economic development officials.” Ideas are shared about the challenges that some employers have finding good candidates, but the essential voices of unemployed people are missing. The article offers limited insights about what it is like for workers to find jobs today and how those jobs and related policies (e.g., the state’s new regulations for receiving unemployment benefits, child support policies and practices, low and abrupt cliffs before losing public benefits) do and don’t allow workers, many of whom are parents, to support themselves and their families. At the Center for Family Policy and Practice, we regularly conduct focus groups with mothers and fathers to discuss issues related to economic security. In addition to issues noted in the article, like low wages and the realities of the child support system, we also hear about other challenges and complexities that some mothers and fathers face. Sometimes jobs have inconsistent hours or hours that aren’t amenable to parenting or single parenting. Sometimes schedules are set with little notice for the employee. Sometimes employees are struggling with low wages, no insurance benefits and a myriad of transportation issues (e.g., extremely long bus rides, bus schedules that do not match shift hours, or jobs that require a car). This “geographical gap” between where jobs are and where people live is amplified by a “transportation gap” in which workers don’t have access to reliable transportation to and from work. When those workers are parents, additional complexities can arise. If these worker-parents are a few minutes late to pick up their children from childcare, they sometimes receive significant financial penalties from child care providers. Employees often face multiple such issues, which minimize the appeal of many $8, $11 and even $15/hour positions. And then, as the article notes, working parents who utilize Medicaid must be mindful of either having a job that offers strong wages and health insurance or not making “too much money” that they then lose health insurance and other public benefits for themselves and sometimes their children. These are examples of just some of the issues prospective workers might face that affect their employment decisions. If Wisconsin wants to grow its economy for all groups of people in the state, it must recognize that there are many adults in Wisconsin (many of whom are people of color and more specifically, people who are Black and live in Milwaukee) in need of employment, and begin to address the challenges that they face as well. The article also suggests that the “worth” of a human being who is unemployed is in question. Some employers are choosing to offer (and may require) employees to take courses about managing relationships, buying insurance, balancing a checkbook, and saving for retirement. (This for a position that starts at $13/per hour, which the employer acknowledges is not a living wage.) This raises all sorts of questions about what roles employers can and should play in the lives of their employees. In addition to a focus on wages and benefits, employers may want to consider the ways in which the work environment is structured to respect human beings and allow them to thrive at work. 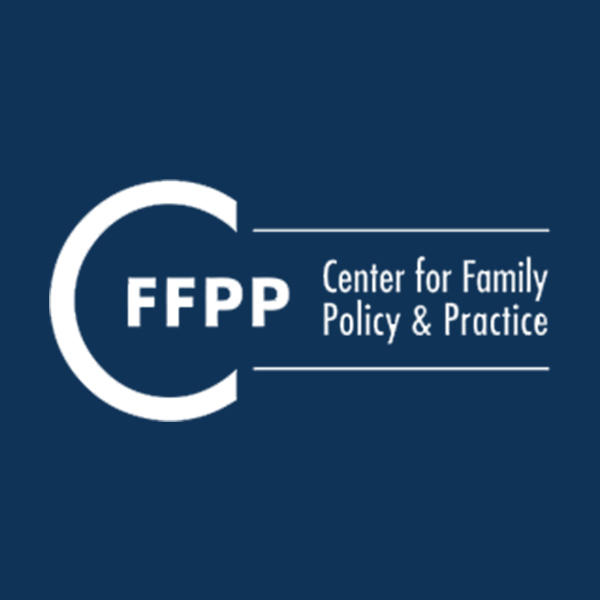 During the coming months, the Center for Family Policy and Practice will continue to disseminate information about economic security challenges faced by mothers and fathers in Louisiana, Georgia, Mississippi and Wisconsin. Many of these parents have very low incomes and are African American. The stories of these parents offer insights into structural changes that federal and state governments can make, but also point to specific policies and practices that employers and co-workers might consider if they are to attract and retain workers from every region and segment of the state’s population.